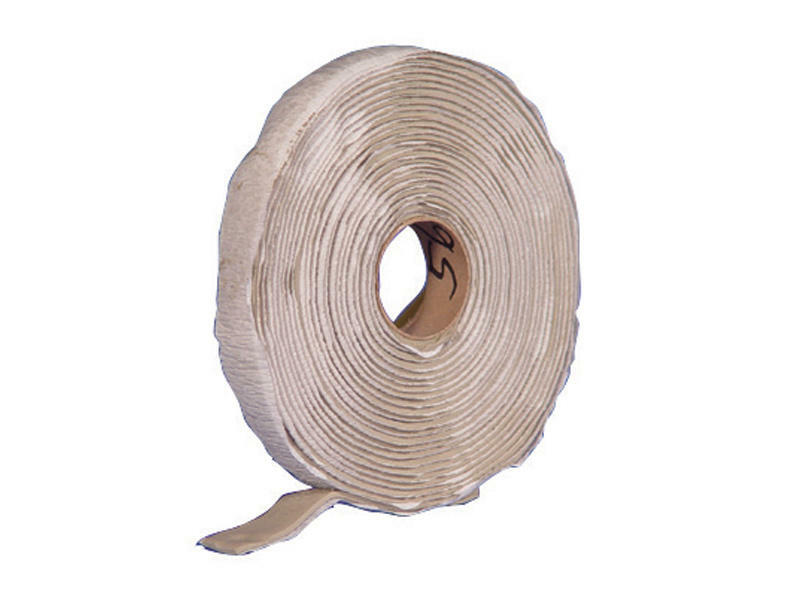 This natural colored putty tape is a heavy, flexible, non-hardening butyl material that remains pliable as packaged. It releases easily from its silicone-treated backer. For use under moldings, around windows, doors and vents. It can be used to seal and waterproof overlapping metals and can be easily shaped and formed to seal difficult areas. One year shelf life. Gray. Roll is 1/8 inch x 1 inch x 30 ft.